WhatsApp is one of the most popular messaging platforms across the globe, with close to 1.5 billion active users chatting off with one another. 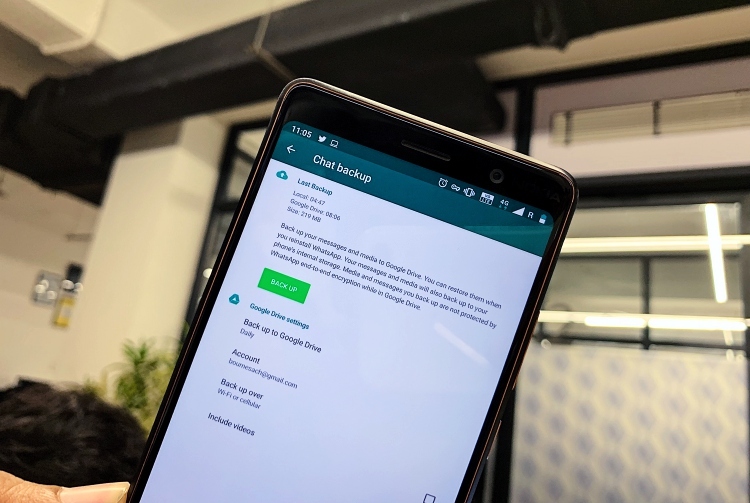 The messaging app renders you the option to save the conversations in the cloud, so that you can retrieve them if you switch devices or need to reinstall the app. 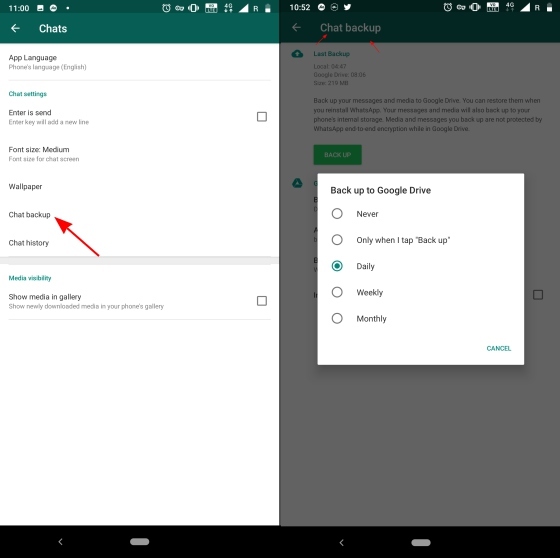 Note: This method just works for Android devices, because iPhone backups are stored to iCloud. We used WhatsApp version 2.18.349 to make the backup on Nokia 7 Plus, running Android 9 Pie. 1. 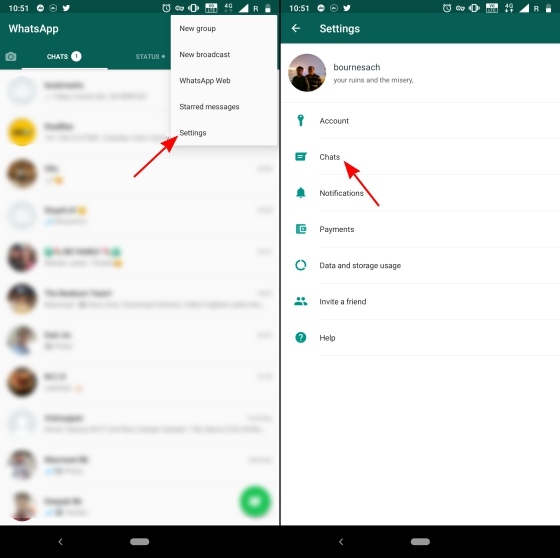 Open WhatsApp and navigate to “Settings > Chats” by tapping on the ‘three dots’ icon on the top right. 2. Go to the Chat backup menu and pick anything but ‘Never’ from the ‘Back up to Google Drive’ option. 4. You’re all set now. 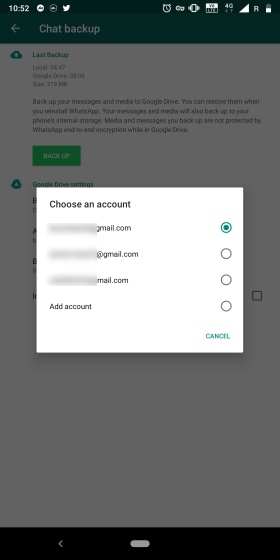 If you choose the ‘Only when I tap Back up’ option then you would obviously need to tap the ‘Back up’ button to make backups to Google Drive else the app will handle it automatically. 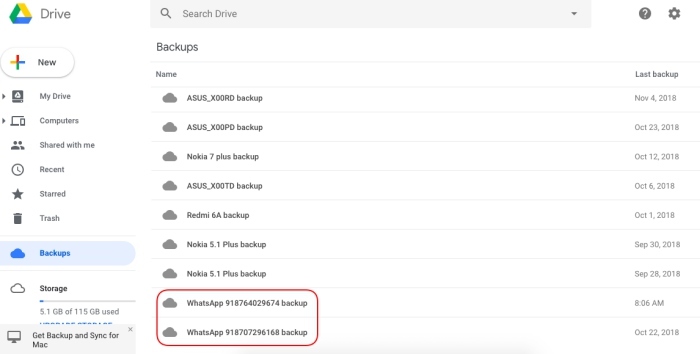 The best part about this exercise is that the space occupied by WhatsApp backups won’t count towards your total Drive quota. This means you can include videos sent over to you in backups, causing the size to swell up to gigabytes of data, but that won’t cost you any bit of your storage in Google Drive. 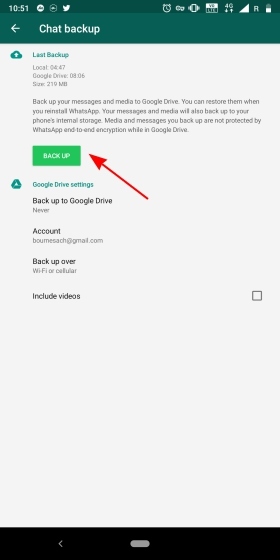 So, if you are not ready to part ways with your WhatsApp data, I would advise you to set up Google Drive backup instantly and protect your older chats from being deleted by the messaging giant.